Funfetti cake. Beautiful huh? 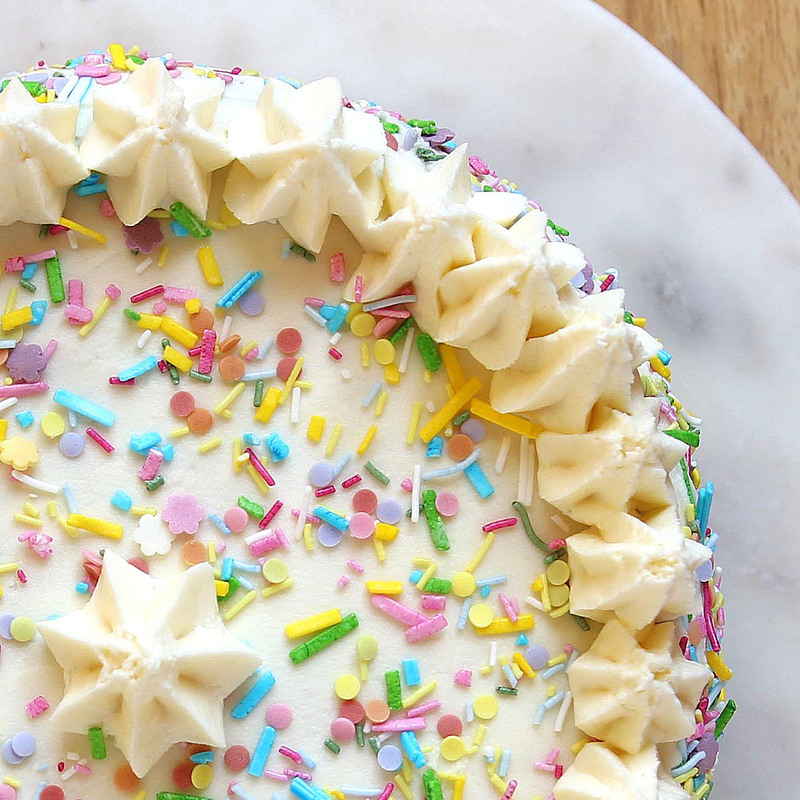 This one is gluten free and decorated with 'Unicorn' sugar confetti. I've wanted to make one for... well... ever. So now I have! Miss GF turns 13 this week (where has the time gone?) and I had hoped that I could make it as her birthday cake... It is such a show stopper. But this year Miss GF has taken a dislike to her birthday. She has decided that in no uncertain terms, she does not want a birthday. Like what???? Really? 13th birthday.... no birthday? What the heck is a parent supposed to do with that bombshell? A girl should love her birthday shouldn't she? Lap it up and enjoy the attention right? Apparently not. Not only have we been told 'no cake', but also 'no presents'... Yeah.... right! The trouble is that we are damned if we do and damned if we don't. I know that if we don't 'do' the birthday, the message she will take from it will be harmfully negative. If we do 'do' the birthday, we will be bollocked for not listening to her. Talk about a roadblock... Although in reality, I guess it really is a no-brainer.... I know what I would rather be berated for. Unable to make this cake for her actual birthday (she knew this was what I had planned), I decided to make it anyway... as an unbirthday 'just' cake. I sort of had my heart set on it, so it seemed a little bit crazy to put it on hold. I am so glad I did. Although quite sweet, the texture of the sponge was almost better than perfect. 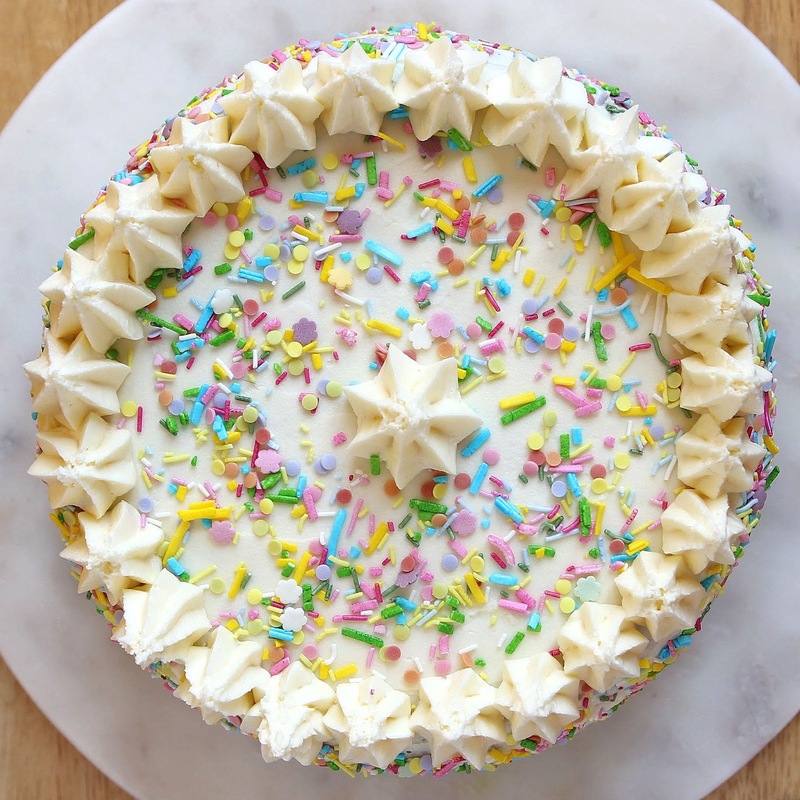 The buttercream was light and creamy and the 'Unicorn' funfetti (which I found in Morrisons, from Dr Oetker) was so bright and pretty. The sponge was a slight variation on my Best Gluten Free Vanilla Sponge, which has such a fantastic crumb and is brilliant for layering. With the heat, I was worried that it might affect the consistency of the mixture, but if anything, it improved it. The warmth made the butter amazingly soft so that it creamed to a sumptuous paste with the sugar. When I gently added the eggs a little at a time and whisked, they too absorbed the magic and the resulting batter was smooth and silky.... rose to perfection and remained moist and spongy for several days. 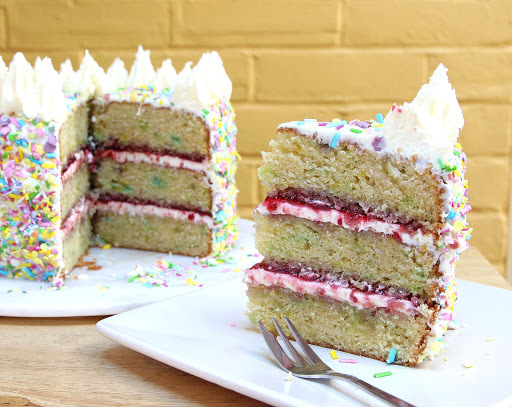 I just love it when gluten free cakes fool the hardiest of gluten-eaters and this one went out of its way to prove that gluten free doesn't have to be dry, gritty or tasteless. In my (very humble) opinion, this sponge is as good, if not better than any glutenous cake I ever remember. 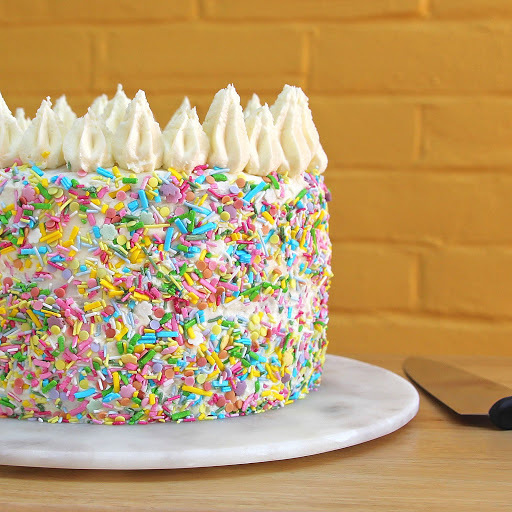 The funfetti adds a certain charm too, giving the cake a rather enchanting appeal... Although getting from 'naked' to 'funfettied' resulted in one hell of a kitchen mess.... funfetti all over the floor, a lot of swearing and a hoover doing overtime. 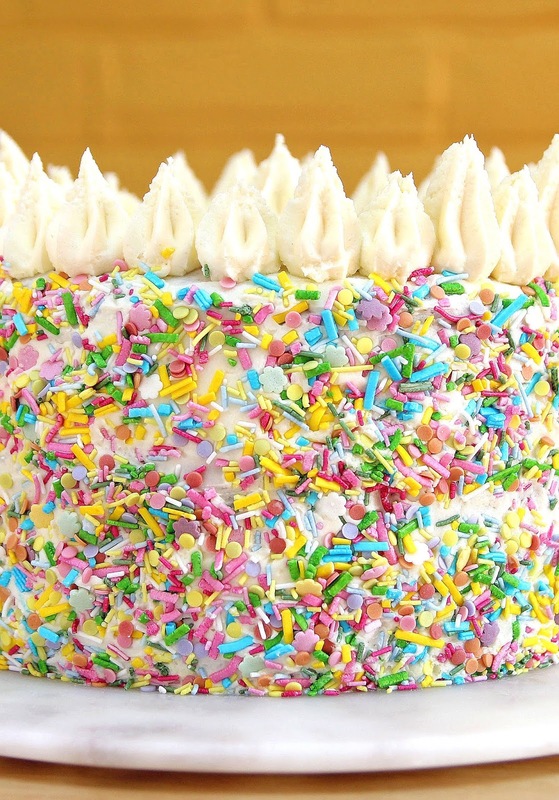 I am no expert on cake decoration by any means, but sticking sprinkles all over cake sides always presents me with a nervous dilemma. I really have no idea what I am doing, and end up picking up piles of whatever it is I want to stick to the sides and combining the actions of throwing and squashing in one. If anyone can give me some advice on getting a better result without such a mess, please, please let me know! Preheat the oven to 180 C/350 F/Gas 4 and base-line the non-stick baking tins that you are using with baking paper. Weigh and mix together the flour, almonds, xanthan gum, baking powder, bicarbonate of soda and salt, making sure the ingredients are fully combined and all lumps are broken down (I weigh into an airtight container and shake vigorously). Set aside. In a jug, stir together the milk and vinegar and leave to stand for 10 minutes (it will become clumpy). In a large bowl, cream together the butter and sugar with a whisk, until pale and fluffy. Break the eggs into a small bowl and beat together with a fork to break up the egg. Add a little at a time to the butter mixture, beating thoroughly between each addition until smooth and creamy. Alternate folding in the liquid and flour mix to the butter-batter about a third at a time, gently and quickly until just combined. As the mix starts to even out, add the funfetti and fold through. Be careful not to over-mix. Divide the mixture between the baking tins and smooth the tops. Bake for approximately 30 minutes until golden and the top springs back to the touch. A skewer should come out clean. Cool for 10 minutes in the tins, before turning out onto a wire rack to cool completely. In a large bowl, beat the softened butter until smooth and creamy. Add the icing sugar a little at a time and continue to beat so that it remains smooth. Add and beat in the vanilla extract. The mix should be smooth and spreadable. If it needs to be loosened, add a tiny drop of milk at a time and beat again until you have reached the desired consistency. Layer the sponge cakes together : Spread a layer of buttercream on one side and a layer of jam on the other and put together. Repeat for the additional layer of a three layer cake. 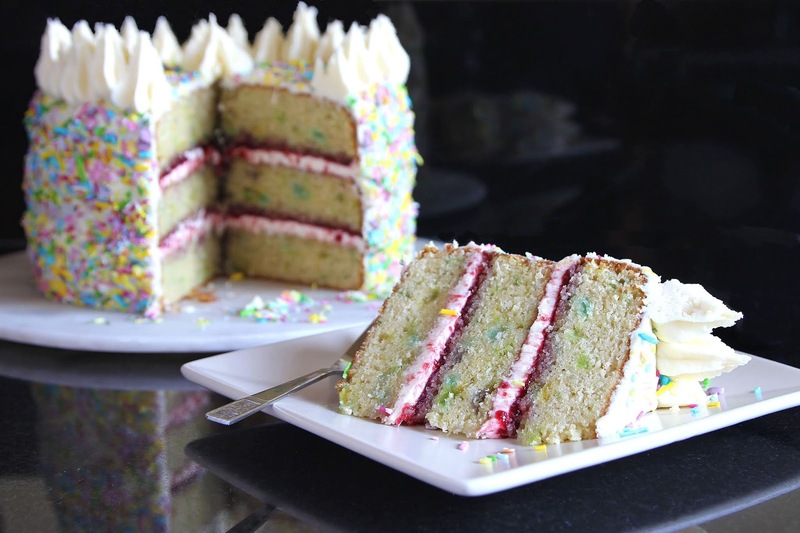 Place the layered cake into the fridge for about an hour to firm up slightly. Remove from the fridge and using a palette knife, spread an even layer of buttercream around the sides of the cake and also on the top. Use an icing spreader to smooth the surfaces. 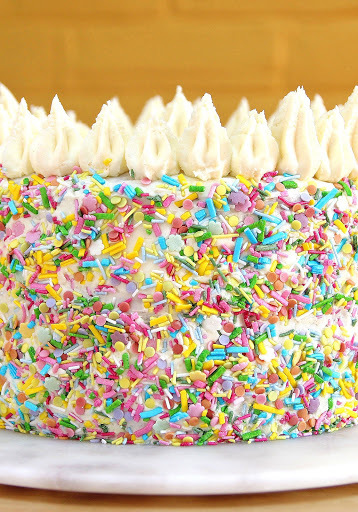 Decorate the sides with funfetti, by sticking handfuls gently and carefully until happy with the effect. (It helps if the cake is on a cake turntable, but don't tilt as the layers may slide). 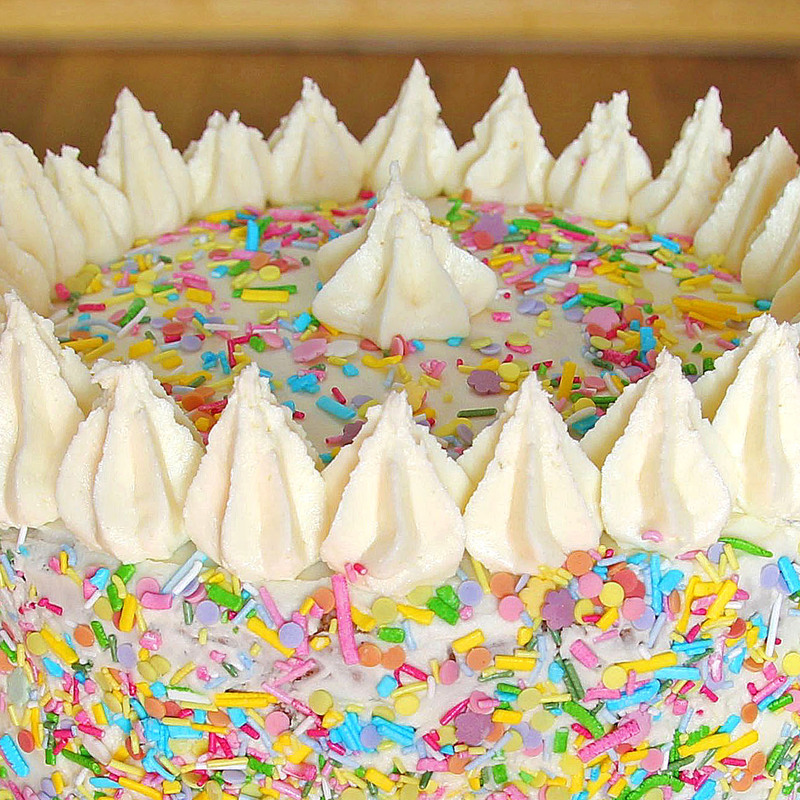 Pipe decoration onto the top of the cake as you wish and sprinkle a little more funfetti on the top. about you not celebrating and not caring - welcome to her teenage years and lots of angst. I hope you at least enjoyed your beautiful cake - I really admire those even layers. I have a feeling you are meant to ice the side first, roll it in the sprinkles and then ice the top but are you meant to freeze it too - I worry it would fall apart when you rolled it. And your sprinkles look beautiful. Thank You Johanna. It's a tricky one..... either way I think the best strategy is to wear a tin hat and brave it out! I'll come round and celebrate your daughter's birthday for her especially if it means I get a slice of this cake! I can imagine the mess your kitchen got into with all that confetti about! Soooo pretty, I love this Kate. Not made a funfetti cake yet but seeing yours has inspired me. The kids will love this, who am I kidding, anyone will love this! It may have been messy but I bet it was so much fun to decorate! A very happy unbirthday to Miss GF! Happy Birthday to your little one! 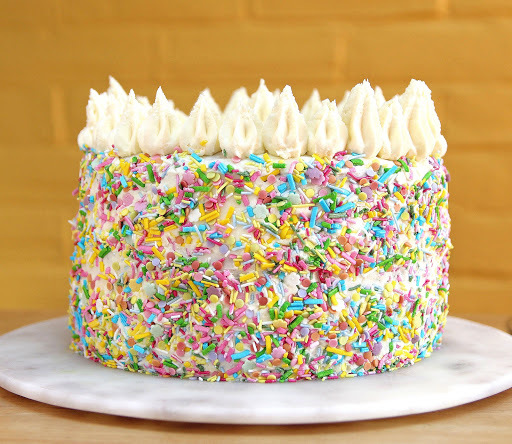 I've been wanting to make funfetti anything for such a long time! This looks brilliant! No cake, no gifts, that sounds a bit too drastic. There must be a reason why she didn't want her birthday celebrated. Maybe you can talk with her again, now that the day has passed, to see why. such a gorgeous cake Kate. We adore sprinkles in my house,they just make you smile and make any food instantly feel more happy and colourful. You managed to cover your cake very successfully in sprinkles, I have found it tricky at times and soooooo many sprinkles end up ..... well everywhere in my kitchen! I hope your daughter enjoyed her cake and her birthday despite her initial misgivings. 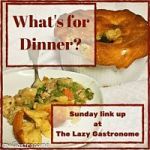 Wow this looks delicious! It is my daughter's birthday soon. Last year, hubby and I made her unicorn cake and, although delicious, it was far too time-consuming to make. But I love this idea to just press funfetti all over the outside (although yes I imagine it is very messy too!) - very effective and fun.